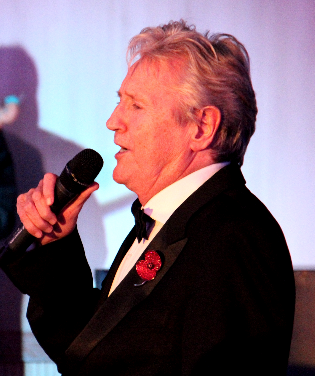 Joe Longthorne is recognised as this country’s finest vocalist and live performer, held in the highest esteem by his fellow professionals, loved and adored by his fans the world over, his status nothing short of legendary with accolades and credits from the true greats of the entertainment industry worldwide. Joe is one of those few select vocalists who have earned the right to be called song stylists, an instantly recognised voice with the ability to stamp their name on every song they perform and make it their own. Sinatra, Bennett, Davis, Presley, Diamond, Manilow, Mathis, the name “Longthorne” surely stands proudly alongside these greats. Joe also possesses an incredible gift for impersonations, his repertoire is packed full. From his signature impression of Dame Shirley Bassey to Tony Bennett, Sir Tom Jones, Barry Manilow, Sammy Davis Jnr, the list is endless. Joe performs a wide repertoire of material, songs from a career which began over 40 years ago and a career which has seen many highs and lows along the way but which is now well on track. 2012 saw Joe performing well over 100 dates right around the UK and Europe. The man called “the hardest working man in showbiz” shows no signs of easing back. Joseph Patrick Longthorne was born on 31st May 1955 in Kingston upon Hull to musical parents, Fred a very talented musician and Teresa, a fine singer. Joe comes from a travelling background and he enjoyed a very warm, safe upbringing in his early years, as he recounts in his 2010 biography, soon to be updated and published in paperback. It was soon evident that he had been born with a god given talent for singing, and at a very tender age he entered a local talent contest and won the first prize, a large red toy car. It was at this point that he realised that singing could indeed be a worthwhile profession to follow. Joe was developing and sharpening his talents with a gift for impersonating anybody at the drop of a hat with mum Teresa very wisely advising her son that it was always a good thing in showbiz to have more than one string to one’s bow. Quickly earning fame entertaining locally in Hull, his incredible talents saw him become one of the biggest stars of “Junior Showtime” in 1969, a ground breaking ITV series, the first children’s TV variety show with child performers. Joe stole the show most weeks with his brilliant performances and stayed until the age of 16 when he left with a wealth of experience and performing under his belt to pursue his dreams of a showbiz career. Worldwide success was to fall at Joe’s feet in the years that followed although as we will read his journey was to prove a roller coaster ride of highs and lows. The lows left him with battles to face which may well have defeated lesser men but Joe possesses an incredible spirit and determination, his faith and courage knows no bounds. After leaving “Junior Showtime” in the early 70’s Joe worked a tough apprenticeship around the club circuit at home and abroad, quickly earning praise and respect, working his way up to top the bill every night. 1981 saw the big break arrive which launched him onto British TV and was to make him a household name. The LWT series “Search For A Star” featured Joe. The rest is history. Just pipped at the post in the final, he had the real prize already in his pocket. Major success followed with appearances on all the major TV variety shows of the day, together with appearances at the London Palladium and a season at the West End’s Talk of the Town”. The name “Longthorne” was now firmly inscribed in the record books of British show business with sell out concerts wherever he performed. The Variety Club honoured Joe with their award for “Most Promising Artiste” in 1983. It’s fair to say they made a wise choice. Building on this mountain of success at home news reached America and in 1985 Joe headlined a season at the Drury Lane Theatre Chicago and was showered with critical acclaim. Joe returned home and broke through to TV with a weekly appearance as the Special Guest Star on the Les Dennis Laughter Show series. This led onto his first television special and ultimately his own series. Joe had arrived at the very top of the showbiz ladder and it seemed that his life could not get much better. 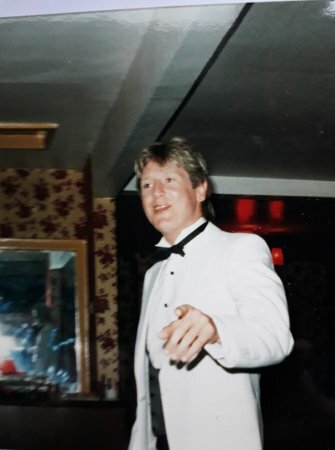 Guest appearances followed on all the major variety shows of the day and Joe consolidated his enormous success with a series of platinum and gold certified albums “The Joe Longthorne Songbook”, “Especially for You” and “The Joe Longthorne Christmas Album”. Joe’s appearance at the 1989 Royal Variety Performance stole the show and he appeared to be at the very pinnacle of his career. It was around this time that Joe was diagnosed with Lymphoma, a blood cancer that very nearly proved fatal. Feeling unwell he visited his doctor and was given the diagnosis, in Joe’s own words “Cancer is not a word you expect to hear when things are going so well. I felt invincible and suddenly out of the blue I felt helpless. I had two choices, to give in or fight. I chose the latter. I got up dusted myself off and got on with life”. Responding well to treatment he embarked on a sell out Australian tour and although having to fight and battle the lymphoma when it returned periodically Joe continued to stay at the very top of the showbiz ladder of fortune and fame with countless sell out performances at The Sydney Opera House, The London Palladium and The Royal Albert Hall. Although TV companies became reluctant to invest in Joe at this time due to his recurring illness he continued to entertain his endless army of devoted fans up and down the country with his unforgettable live performances, breaking box office records everywhere. He released another album “I Wish You Love” in 1993 with many of his own songs included. 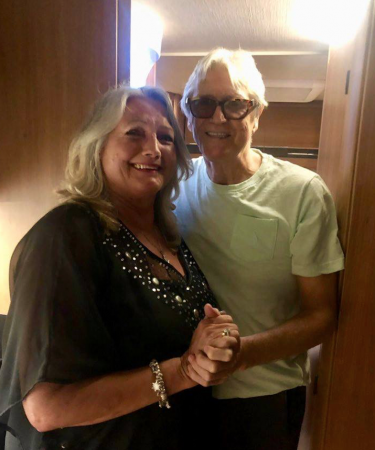 A single was released, the very popular “Mary In The Morning” which gave Joe a Top 30 hit and he enjoyed great success with a string of video releases of his live concerts and TV shows. It was at this time that Michael Aspel managed to surprised Joe whilst he was performing on stage to present him with the famous red book. The struggle with returning bouts of his illness together with financial problems emerging from bad management advice ultimately took their toll on Joe in the late 90s. The new millennium saw Joe get back in shape financially and work wise but he was given the biggest battle of his life to fight when it was discovered the Lymphoma he had fought for so long had deteriated into Leukaemia. Joe continued performing between treatments; however a bone marrow transplant was offered as the only hope by his doctors of beating the disease which was taking more of a hold on Joe. A donor was found by The Anthony Nolan Trust after many appeals on Joe’s behalf. Joe entered the Manchester Royal Infirmary in June 2005 for the transplant which initially went well. After a few days the signs were good but complications developed which resulted in Joe contracting pneumonia and being placed on a ventilator for a month, sedated and fighting for his life and being given the last rites. Many prayers were said and vigils were held by showbiz pals and fans around the globe; miraculously he pulled through. His condition improved gradually, inching his way back to recovery his medical team commented that they really had no idea how he had pulled through. It could well have been a miracle or maybe the mountain of love and prayers from family, friends and fans. Joe, especially eager to get back on stage and entertain his audiences again, returned to performing at Easter 2006 at the Blackpool Grand and followed up with a nationwide tour. Edging his way back to recovery and full fitness he played an emotional sell out concert at the London Palladium in Sept 2006. In May 2007 the Variety Club of Great Britain awarded Joe their “Lifetime Achievement Award”. The ceremony was packed with celebrities and devoted fans, all there to honour Joe and his tireless efforts and commitment to his profession, extensive charity work, courage, incredible bravery and determination. In his own words he announced “I have not felt this good for decades. It’s like I have gone back 20 years.” Joe Longthorne was indeed well and truly back. Joe quickly reclaimed his title of the hardest working man in showbiz with an extensive nationwide tour in 2007, and indeed every year since, and has performed sell out summer seasons in Blackpool, together with headline concerts in Cyprus at the Kourian Amphitheatre and The IndigO2 at the O2 in London. 2010 saw Joe’s life story finally published with his autobiography written in conjunction with Chris Berry. It is a must for any fan, written in Joe’s own words it is a very honest and frank account of his life and has won praise from critics and fans alike. The Variety Club further recognised Joe with a special award of a “Silver Heart” in March 2010, in honour of his extensive charity work. He accepted the award graciously at the ceremony and proceeded to donate it to a Blackpool based charity of which he is patron of. DCWC Nepal helps the poor and sick in Nepal and the Silver Heart was auctioned for well over £1000 which was donated towards a hospital being built in a remote region of the country. A remarkable gesture on Joe’s part but this is all part of the man’s character, his charity work is always of paramount importance to him. Autumn 2011 saw Joe returning to the West End at the Leicester Square Theatre before heading for the Continent with a number of shows including ‘Live In Spain’ which is now available on DVD. 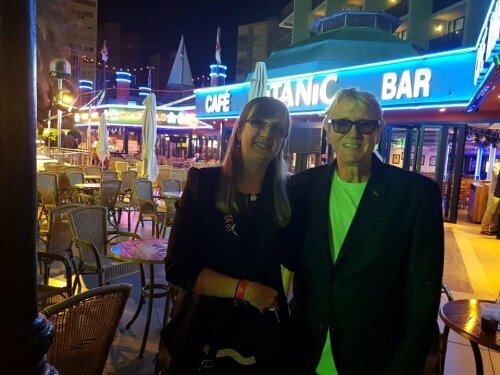 Fans commented after his two hour plus sell out show at The Benidorm Palace that they were simply blown away by the power and depth of his performance, showing their appreciation with numerous standing ovations. In Spring 2012, a letter arrived from Buckingham Palace stating that he was to be recognised for his extensive charity work with a MBE in The Queens Diamond Jubilee Birthday Honours List. A humble and unassuming man, Joe admitted to being totally surprised and utterly speechless but immensely proud and deeply honoured to receive the award in the Jubilee year. He sees the award as something which will give his chosen charities a greater profile and reinforce his continuing charity work. The news broke officially at midnight on 15 June 2012 to the immense delight of Joe’s family, friends and his huge army of fans worldwide. A special Queen’s Birthday Honours issue of The London Gazette proudly included the name of ‘Joseph Longthorne’ for services to charity. Joe received his MBE from HRH the Prince of Wales on 13th December 2012 at Buckingham Palace. After the ceremony Joe was greeted by many fans outside the Palace waiting to offer their congratulations to him, the royal recognition somewhat long overdue. 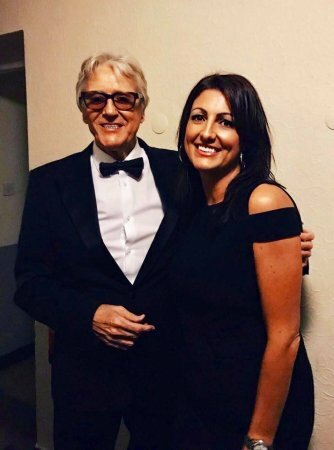 Last year Joe was diagnosed with mouth cancer resulting in 12 hour surgery and 6 months convalescence, returning to work this January and now looking forward to his 60th Birthday celebration shows. 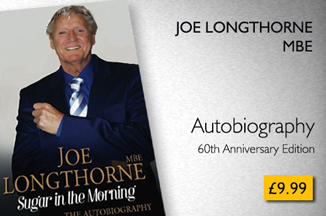 Joe’s official website www.joelongthornembe.co.uk carries all the latest on Joe, news, dates, on-line shop and much more, Joe continues to be in ever increasing demand from all directions , the time is indeed right for Joe Longthorne MBE.